As an educator, there are lots of things you can do to improve the education quality. Starting by managing your classroom properly. Today, there have been lots of educators who take advantage of technology to manage their classrooms. They use a certain classroom management software to smoothen the learning process. Classroom management software is the type of educational software with the major function to help you manage the classroom. The classroom referred to herein can be “real classroom” or virtual classroom. Whether you are a school teacher or a course instructor and is in the hunt of classroom management software, here are 6 top choices that you can try. Netop Vision is a nice option of classroom management software to be implemented on the “real classroom” instead of virtual classroom. This software helps teachers to control the learning activities by monitoring student screens. Sure, you don’t have to taking a walk surrounding the classroom to do it. It’s so much silly. You will only need to see your computer screen do it. You are also allowed to customize your view to match your classroom layout. If you need to explain something to your students, there is a feature to lock the student screens and keyboards. Student screens will replaced with an “attention please” page. This page can also be customized. And several other features offered by Netop Vision. Netop Vision is available for macOS, Windows, and Chrome OS. Before deciding to buy this software, you can request a demo to try it first. Edmodo is a platform that give you — the teacher — a full control over your digital classroom. This is the tool whereby anyone can be involved in the education process. Teachers, students to parents. For teachers, Edmodo can be used to do such things as create groups, assign homework, schedule quizzes, manage progress and lots more. You can also use this tool to give your students a new way to engage by participating to the discussion topics you created. 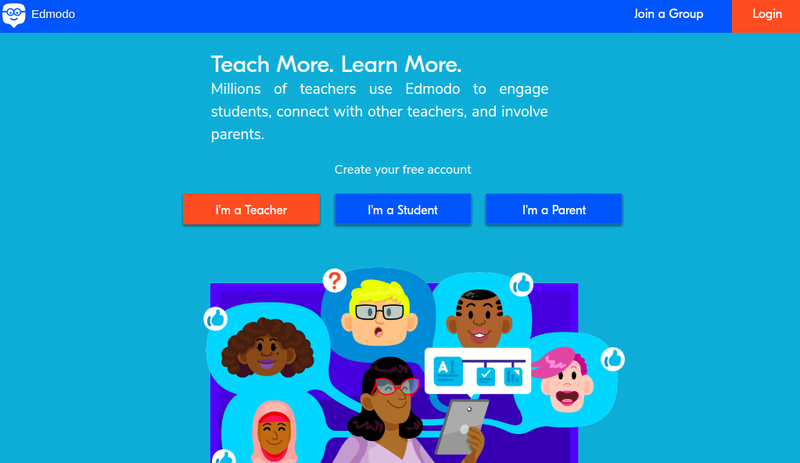 According to its developer, Edmodo was built by involving teachers so chances are features you expect from a education software, classroom management in particular, have been added to this software. Teachers who have a paperless minded can also consider Google Classroom to manage their classes. Google introduced this education platform in 2014. Since it’s owned by Google, the use of Google Classroom can be integrated with other Google’s products like Drive, Docs, Calendar and so on. Google Classroom enables teachers to create classes as well as distributing assignments. Google Classroom can be used for free for schools. ClassDojo is a classroom management software that can be used for free. 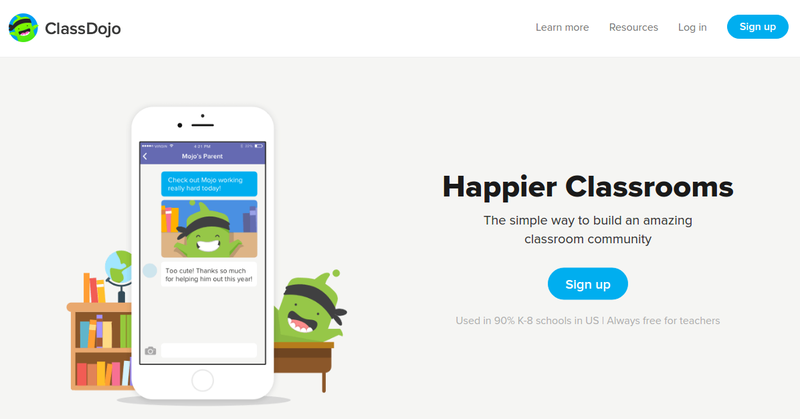 According to ClassDojo, its tool is used in 90% K-8 schools in US. While you can use this tool on web, mobile app is also available. ClassDojo is a great tool to develop a two-way communication in the class. While teachers can create classes and add the students to those classes, students will be able to share their learning by adding photos and videos to their own portfolios. Additionally, you can also share what happened in the classroom with parents by sharing photos or videos. Inside the ClassDojo dashboard you can find features like Attendance, Timer, Toolkit and so on. If you can’t handle a class by yourself, you can also add co-teachers to help you handle the class. Mythware is quite similar to Netop Vision. You can use this tool to monitor the learning processes in your classroom. The difference, this classroom management software supports more operating systems. In addition to macOS and Windows, Mythware can also be installed on Linux. Additionally, this software also supports mobile platforms including Android and iOS. Some of the things the teachers can do with Mythware include controlling students’s devices, restrict students usage of CD, USB disk, website and application. Additionally, teachers can also import the name list of students and launch the sign-in operation. Mythware is itself is a paid software. You can use this software for free for 30 days during the trial period. Once the trial period is over and you find this software suit your need, you can buy the license which available in three models, Per Class, Per Seat and Per School. EDaura is also a nice software for educators to manage classroom. Particularly, this software is designed to help you manage a course. EDasura offers both formative and summative assessment embedded within the assignment module. This allows educators to measure learning outcomes and skills in order to help learners develop and improve throughout the course. Some features you will get from this software include assignment management, chat app and resource management. EDaura is a web-based software but it also offers mobile apps for Android and iPhone.